Win the Day in these. 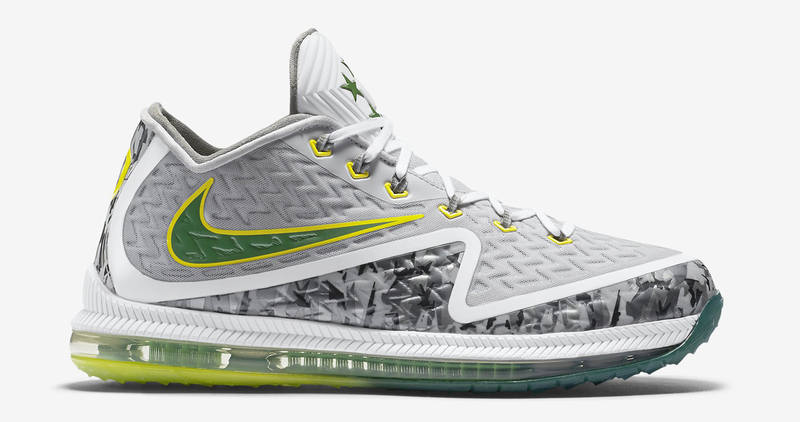 The Oregon Ducks football team may not have had the year that Nike was wishing for, but that isn't slowing the pace of special shoes the sportswear giant is making for the team. 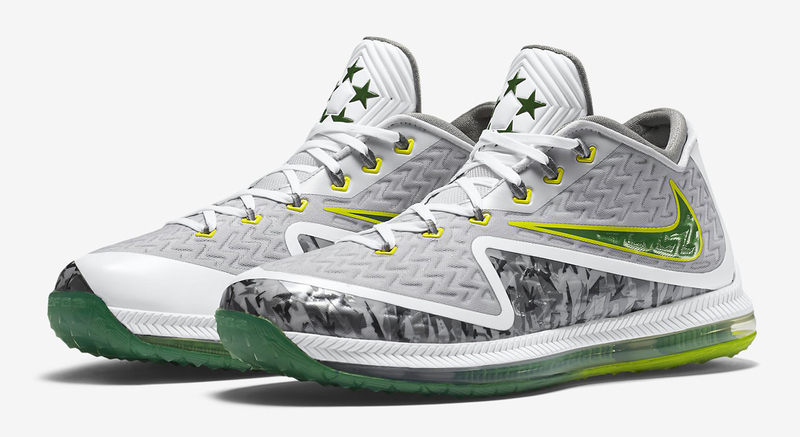 This time around they've decked the Nike Field General 2, a quarterback-specific training model, in a look that should please Ducks fans. 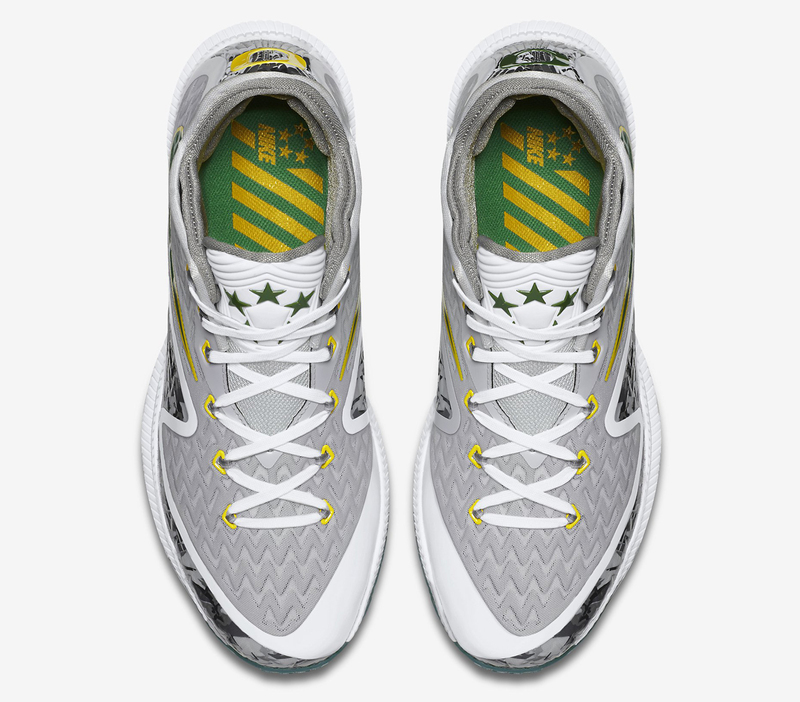 There's green and yellow splashed across the accents and there are Oregon Os on the heels, although there's no actual appearance of the team's mascot, Puddles. 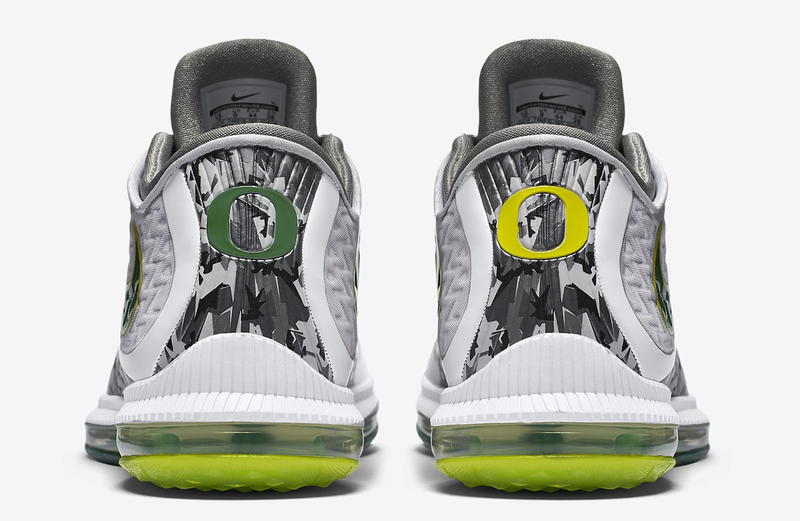 Readers can find these Oregon Nike sneakers now directly via Nike. 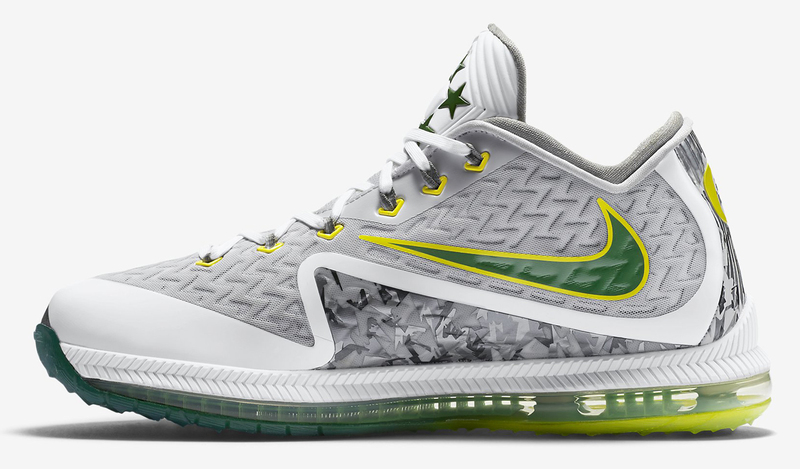 Nike Field General 2 "Oregon"